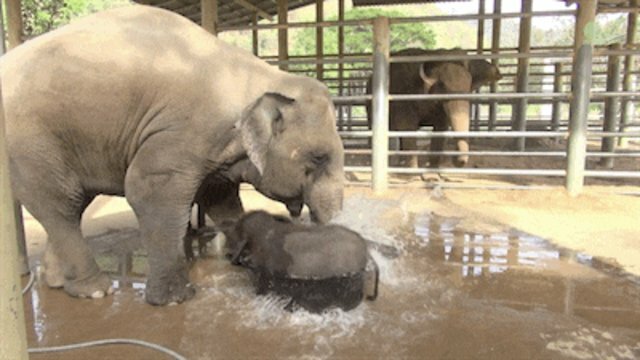 For most parents, the challenge of bath time is getting the kids into the tub, but for one mama elephant, the hard part was getting her little one out. 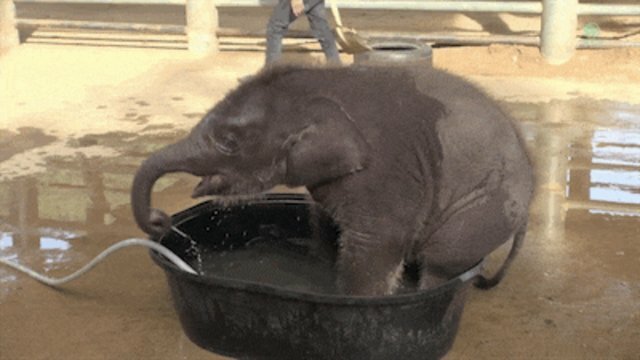 In a video uploaded by Thailand's Elephant Nature Park on Wednesday, 1-year-old Navaan can be seen having what might be too much fun playing in his tiny tub. 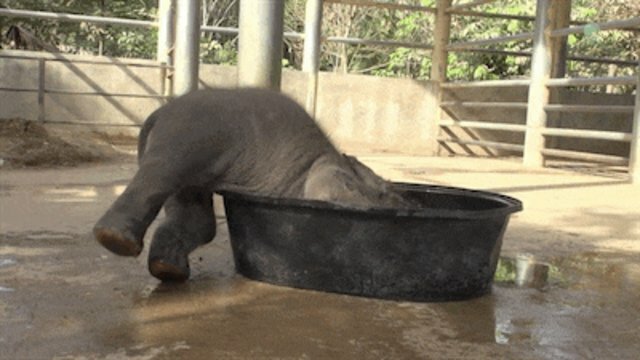 ... before finally Mom shows up to put an end to the nonsense. Oh well, at least it was fun while it lasted.